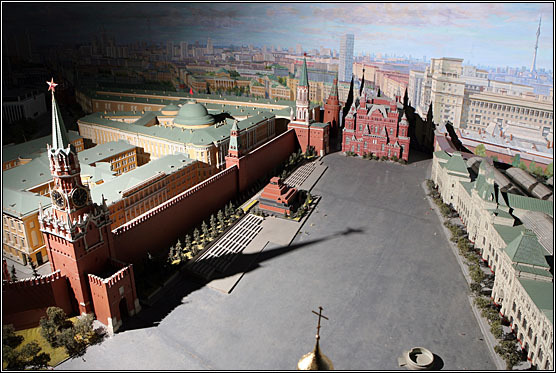 This is a Moscow city scale model. 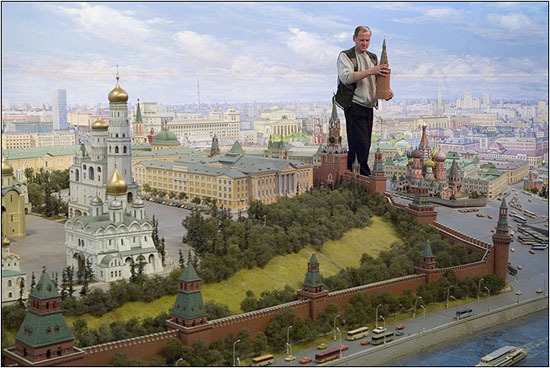 It is back from USSR times, when Soviet leaders had a little craze on making such epic compositions. It was ordered from an artist Efim Deshalyt in 1976. The size of the model exceeds 400 sqft. The exhibition was opened in 1977 and lots of people visited it since then. 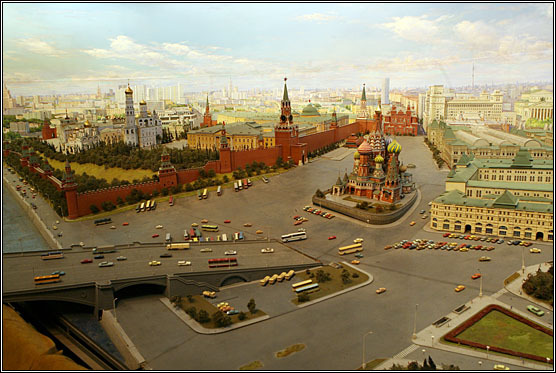 This is the biggest model of Moscow, depicted to a dot. 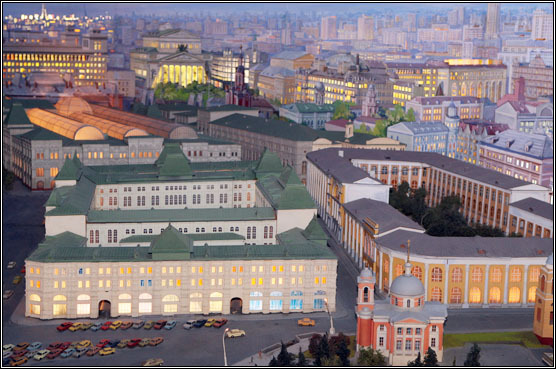 It’s interesting that some of the buildings are not present in modern Moscow. 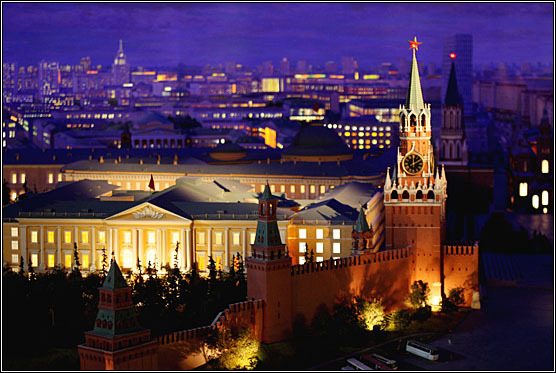 Some hotels of Moscow like “Inturist” or “Moskva” were recently demolished. 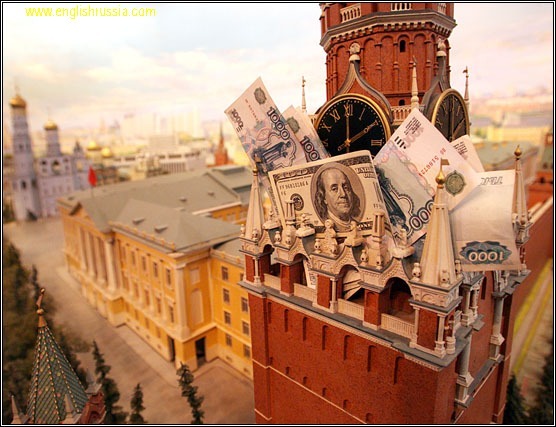 After the Soviet era ended, exhibition started loosing the interest among visitors, it attracted only foreigners, travellers to Russia from USA, Europe and other countries. It has been said that some museum workers even wanted to destroy it because it “takes too much space and electric power”. The model really takes a lot of electricity – it turns on and off outdoor and indoor lighting according to the time of the day. Thousands of little lamps are used in every window of each house, even the boats on Moscow rivers have lights on board. Currently the offer is $3M, but it seems that nobody advised them to put it on Ebay. This is simply amazing. $3M, possibly a museum to buy? government should buy it. otherwise it will be ruined buy someone..
as an ex-architecture student im interested in what material that model’s made out of. anyone come across that information? That is simply amazing! Awesome work! I have other questions: what scale? materials? building interiors?